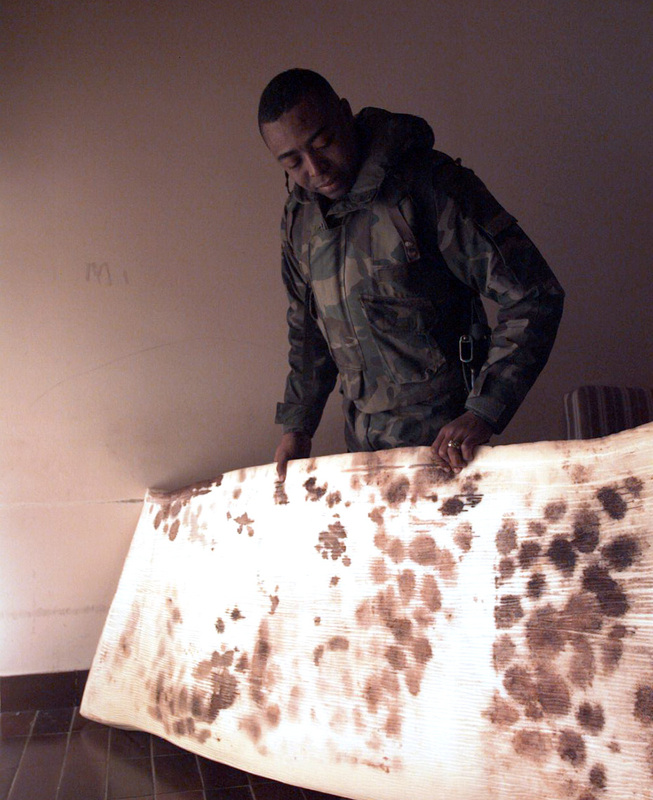 Captain Hugo Jackson, of Charlie Company, shows off a blood stained mattress at a ski chalet-turned hospital in the mountains of eastern Bosnia Herzegovina. Jackson told the story of his squad arriving late one night and how he fell asleep on a gurney and started having vivid nightmares of being mortally wounded. He awoke in a cold sweat, removed his sleeping bag and the sheet to discover the blood soaked mattress.